We are also announcing our spring classes and want you to know that this is the last time that the three-class, Live Foods Series will be taught. For the past four years Lenore has been developing new recipes and we will now focus more on production of e-books for Raw/Live foods and class DVDs, "Live at Lenore's". After nearly 40 years as a vegetarian, Lenore definitely feels that including more raw, wild and superfoods has greatly improved our health and menu diversity. She encourages you to enroll in this final, live three-class series, where you can ask all the questions you might have. You are worth it (!) and we expect this to sell-out early! March 2: "Naturally-Fermented Sauerkraut" workshop - FRIDAY 2-3:30 pm ($20) All thriving, traditional cultures eat fermented foods. Learn the art of making your own lively, tangy and delicious sauerkraut in this hand's-on workshop. Discover the many great health benefits of fermented foods! NEW - March 17: "Delightful Soups" SATURDAY 10am-1pm ($45) This class includes Lenore's latest favorite new recipes. Seven-Bean Soup, Triple Lentil Soup, Red Lentil-Tomato Curry Soup, Almond-Ginger Salad Dressings served with Organic Salad and Homemade Flax Crackers. Live Foods Class Series - LAST TIME THIS WILL BE TAUGHT. 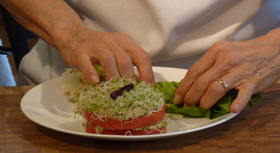 SATURDAYS 10am-1pm ($130, space permitting $45 for a single class) This series covers Raw & Live Food Preparation from A-Z. 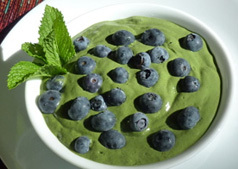 April 7: "Whip It Up" - Raw foods overview with preparation using a blender. Recipes include a yummy Breakfast Pudding, Sensational Smoothies, Divine Green Goddess Dressing, Salad Secrets, and a Dreamy Chocolate Dessert. Superfoods like Chia and Hemp Seeds will be featured. Enjoy our vegetable garden tour, too! April 21: "Crank It Out" - Juicer and food processor techniques highlighting Green Juices, Sprouting, Patés, Sandwich Stacks, Lettuce Roll-ups, Hand Rolls and Dairy-Free Banana Ice Cream. May 12: "The Heat Is On" - Focus on dehydration techniques with Sprouted Onion Bread, Dragon Flax Crackers, Thai Patties, Carrot Almond Spread, Kale Crunch and raw food menu planning simplified. For more information, please visit: www.lenoresnatural.com/classes/classes.php Seating is limited! "A Small Act" is an inspirational & dramatic documentary about one man's education in rural Africa and the power of a small act of generosity. "Hot Coffee" gave us a fresh perspective on the real back-story of so called "frivolous lawsuits" including how this issue is misrepresented, affecting us all. People are often amazed by how tasty Lenore's simple recipes are. One reason is that she puts an immense amount of time into re-working them to their final exact proportions. Another factor is that she uses the best ingredients that she can find. You can get some of these at Natural Import, an importer of artisan, traditionally made Japanese foods. In addition to phone orders, Natural Import now has a physical store front in the Biltmore Village area of Asheville, NC. 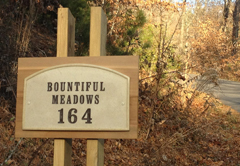 It is located at 9 Reed Street (800-533-3919). You can browse and carry out your goodies. 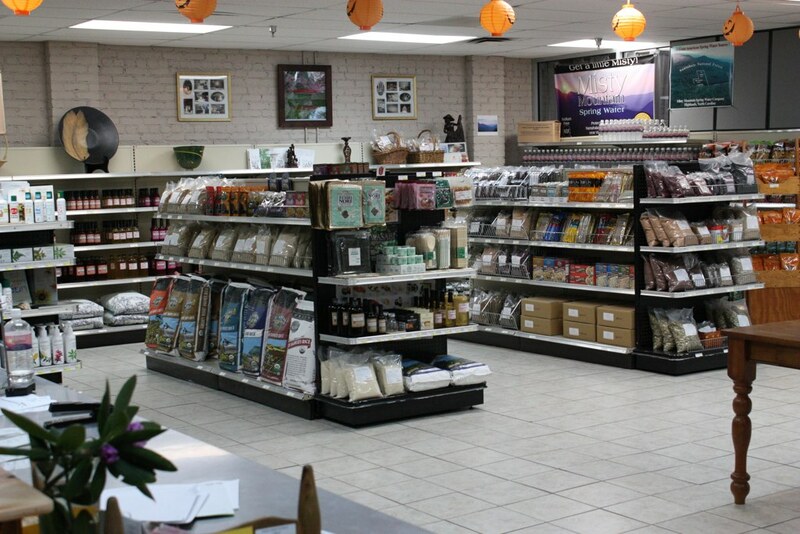 Click on this photo to see more pictures of their new store. Lenore's favorite products (not always the most expensive choice!) from Natural Import can be found at http://www.naturalimport.com/lenore_s_list When you call or visit them, make sure that you ask for this list. Read a great romance lately? The Dirty Life is a real life, love triangle among a woman, a man and their farm. Author Kristin Kimball, New York City journalist, conveys how she was swept off her feet by her husband and the agrarian life style. We are fermentation fans. We have another batch of sauerkraut in the crock: cabbage accented with our Black Spanish radishes. 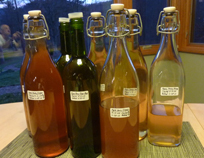 With our last crop of fall apples, we are now making apple honey mead. 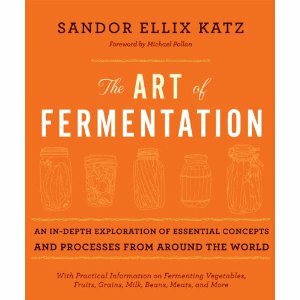 Our role model is Sandor Katz who has just announced his new book The Art of Fermentation which he has made available through pre-order from Amazon.com. It is sure to complement his Wild Fermentation which we continue to enjoy. 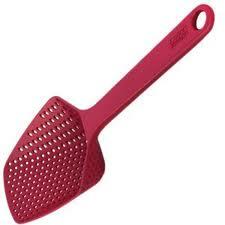 One tool that we have come to use at almost every meal is Joseph Joseph's Scoop Colander.